With hints of brown sugar, dark chocolate and walnut, a special blend of coffee roasted locally is out to make an impact—and not just for coffee aficionados. Jenni Trilik-Contaldo who co-owns Modest Coffee with her husband, Marcus, is roasting a special blend of high quality coffee that’s produced entirely by women from beginning to end — something rare in the coffee world. Typically dominated by men, only about 15 percent of raw coffee is grown by women farm owners and just 13 percent of the coffee is roasted by women. 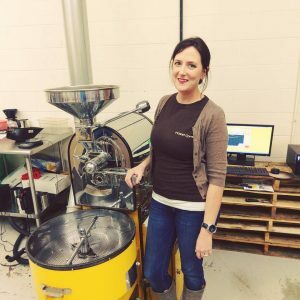 To take the women connection one step further, the couple is donating 25% of the sale of every bag of the coffee to Aurora-based Mutual Ground–one of the oldest and largest domestic violence and sexual assault service agencies in the state of Illinois. “We live in Aurora so it was an easy choice for us to support them,” Trilik-Contaldo said. “They do so many great things,” she added. Between Black Friday and late last week, about $500 has been raised for Mutual Ground—a number that they couple hope will quadruple by year’s end. The La Morena coffee which Trilik-Contaldo used for roasting at the Modest Coffee’s West Chicago facility was grown on three farms in Guatemala—all owned and operated by women and exported to the United States by Maria Renee Morale. At the Modest Coffee facility, Trilik-Contaldo roasted the coffee herself and a female employee packages the coffee and handles shipping deliveries. 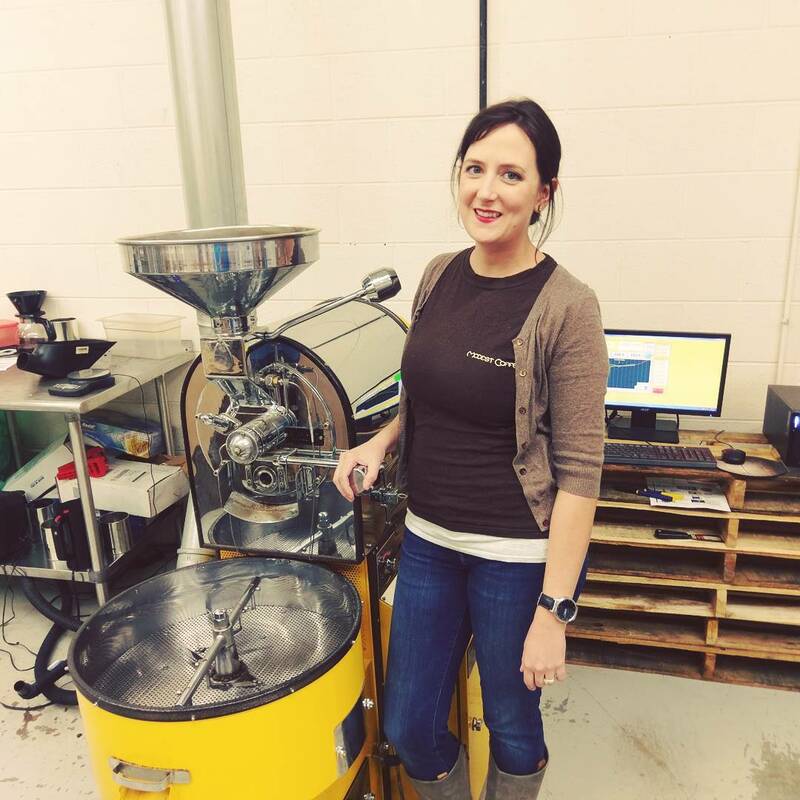 The couple became involved in roasting coffee as a hobby about four years ago after they lost touch with a coffee roaster they met at a farmer’s market. After studying how to roast coffee themselves, the couple began producing small batches of coffee for themselves as well as friends and co-workers. 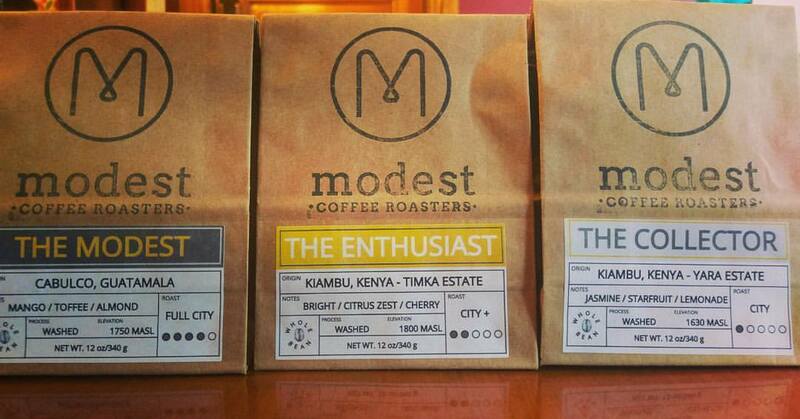 Thereafter, Modest Coffee was born. Today, Modest Coffee can be found at more than 40 area independent grocery stores, farmers markets, and coffee shops. 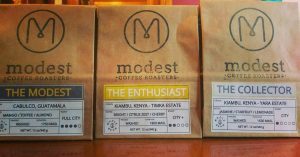 Modest Coffee only uses “ethically sourced” beans which means that the coffee can be traced back to the farms that produced them. When purchasing coffee, Modest Coffee uses a formula that considers taste as well as human and social standards. Producing great coffee and treating coffee as an experience is very important to us, Marcus Contaldo said.